I'm going to be upfront with you. This was a total accident. 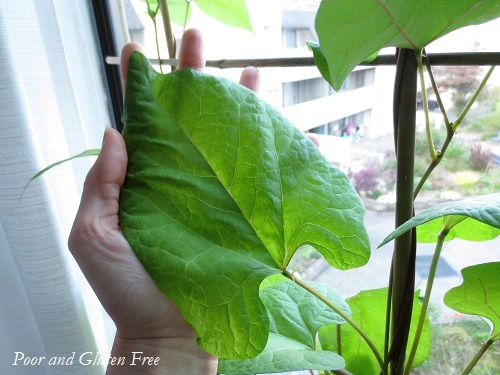 I never intended to grow Scarlet Runner Beans on my windowsill. But it was a hilarious, happy accident. 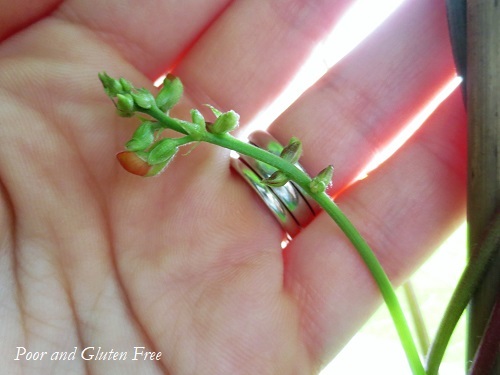 If you've ever wondered if you can grow runner beans inside, and if they'll actually flower inside... Read on. 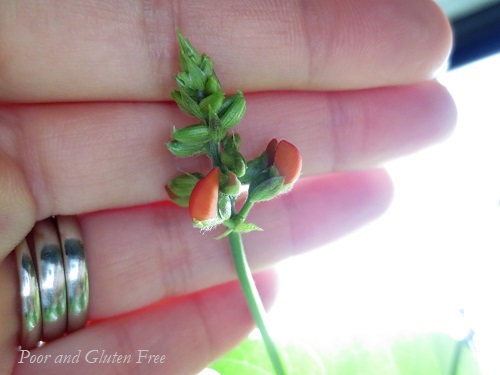 Seriously, I have hard evidence below that runner beans will flower inside!! 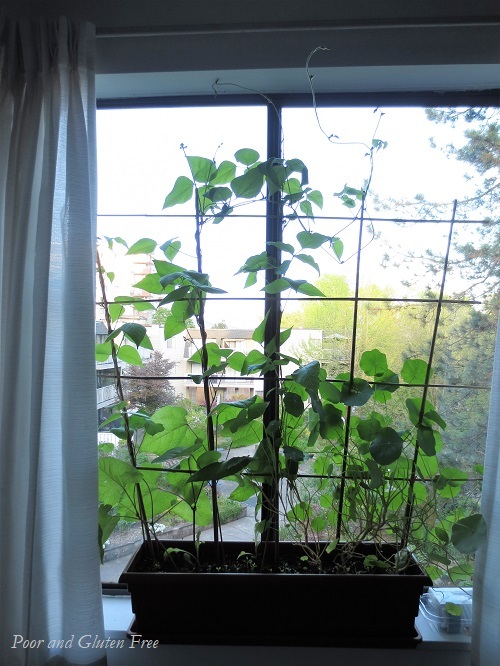 I think this would be an amazing experiment to do with kids, too, as the beans grow like wildfire once the days grow longer, even if it's still cold outside!! This year I decided to experiment and seed a ton of veggies to transplant out onto my deck, with beans and sugar snap peas seeded directly outside. 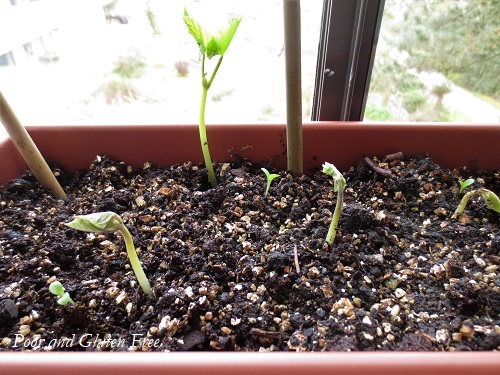 In my inexperience, I planted the runner bean seeds at the same time as the peas, which are a cold weather crop and ought to be planted several weeks before the last frost. When my peas came up back in March, and not my beans, I figured I'd made a mistake. After more research, I realized I shouldn't have planted the beans until the weather is much warmer than it is, even now. 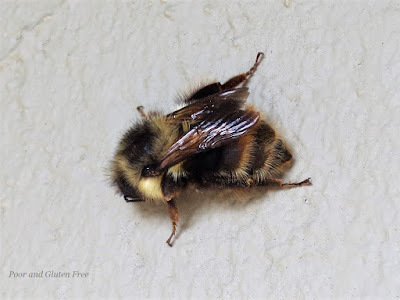 I suspected I'd waterlogged my seeds and killed them. I had also started some lovely, climbing Spitfire Nasturtiums from seed inside, and decided to transfer them to the planter box and put it on my windowsill to await warmer weather. This particular windowsill is east-facing, and gets sun all morning, up until about 2 pm. So I brought my planterbox - with the bean seeds - inside at the beginning of April, one month ago. I stuck it on the windowsill above the heater, and forgot about it for a couple of days, being too busy to plant my nasturtiums. And, of course, I thought, "Well, what the heck, let's see what happens!" and I let the beans grow, adding in the climbing nasturtiums beside them. It's been almost a month since the above photo was taken, and I've had to actually wrap the bean tops around the trellis, as it's started getting tangled in the top of my curtain rod!! And yes, there are actually flowers growing. Check it out. Aren't they awesome? I love opening my blinds to this every morning!! It makes me ridiculously happy, it's so cheerful. I do intend to move the beans outside as soon as the weather gets a bit warmer and more regular, which I anticipate happening in the next week or so. We'll see how things go from there, but so far I'd say this was a very successful accident, and I would definitely consider starting runner beans inside next year. 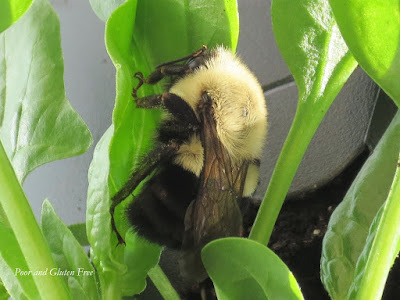 That said, I don't think they take well to transplanting, so it would be best to plant them in the container you intend to keep them in, and make sure they get plenty of sunlight. They grow so fast that it's not really necessary to start them inside, but they make me happy to see each morning, and I definitely feel a bit like Jack and the Beanstalk! Have you had any garden surprises? Have you seen the latest novel in my romance series, The Anubis Mask? Get it now, and follow the priestess Betrest as she searches for the mysterious man-god she met one lotus-infused night.